Okay, here’s the deal. We don’t really know much about the Vikings. How come? Because they didn’t write things down. They told stories rather than read them. They were travelling all over the place and telling stories about their adventures but when Christianity came along the Viking stories got tossed out as a bunch of pagan bumf. More than bumf, harmful, pagan, anti-Christian bumf. Christians weren’t ecumenical. They weren’t into sharing. They weren’t big on tolerance. It was our way or death. There was none of this turn the other cheek. The result was that people got in line, did as they were told. They knew what was good for them. They dumped all that stuff that the pagan big shots had told them was the truth and adopted all the stuff that the Christians told them was the truth. The thing that made the Christian stuff stick is that it was written down. So much for all those poems about the great deeds of the Vikings. Or their social customs. Or their history. It was quickly forgotten. Good thing Iceland was isolated. It got to do things its own way. Given the choice of warfare, they said okay, we’ll become Christians but we get to practice our pagan religions in private. That meant the got to hang onto their past at the same time as people were appearing who could and did write things down. The agreement reached at Thingvella meant there was an extended transition period. The past was not the enemy that had to be destroyed. That was why the agreement was so important, not because someone got to drink horse blood at home, but because Viking culture got to be preserved. 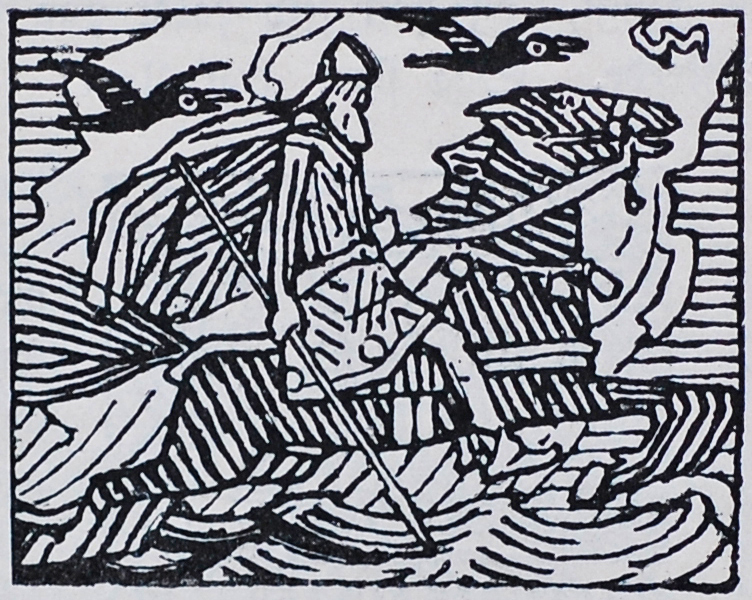 The Viking age was from around 793 to 1066. After that, because of climate change and politics, Iceland became a poverty stricken province of Norway and Denmark. As harsh as this was for people in Iceland in the following centuries, that isolation and poverty helped to preserve knowledge of the Vikings. Customs and beliefs endured. In the 1800s, Iceland was still, in many ways, a medieval society. –	in the late 16th-century a Icelandic scholar named Arngrímur Jónsson remarked, while he was in Copenhagen arranging for the publication of one his books, that Icelandic manuscripts contained information on the early history of Scandinavia. –	Arngrímur remarks led to the discovery that the emigrants from Scandinavia, who settled Iceland beginning in 870 A.D., had taken their cultural heritage with them. The Icelanders never lost the tradition of composing and reciting oral poems about the Viking gods. Moreover, they had written down a collection of the poems in the early 13th-century, and along with a description of the metres and the manner of creating “kennings,” or poetic metaphors, involved in composing them. -The first of two manuscripts written in Iceland is now known as The Prose Edda and was created by Snorri Sturluson, who was an Icelandic poet, historian, and politician. He wrote his Edda as a handbook for poets so that they could continue to compose poems in the traditional style. I will refer to The Prose Edda as Snorri’s Edda throughout my talk. –	The second manuscript was created by an unidentified Icelandic scholar and is known as The Poetic Edda which consists of 34 poems about Viking gods and heroes. That’s how crazy life is. An entire history of a people is lost and then is re-discovered on an isolated island in the North Sea, among a people who live largely in isolation not only from the outside world but from each other on farms situated wherever they can find pasture for their sheep and cows. The Prose Edda and the Poetic Edda were written down but the oral tradition continued. Education wasn’t in schools but in the home. Numerous generations lived together and the old passed on this material to the young in the badstofa. Strange things worked to preserve this story telling. Some bishops, one gets the impression that on the whole they were not much fun to be around, got the Danish king to pass a law banning Icelanders from frivolous pursuits. They also managed to just about stamp out dancing. Throw in poverty and one can see why sitting around in the dark during the long winter, keeping warm by all huddling together in one room, storytelling became important. Think winter in Iceland. Horizontal rain. Snow. Ice. No roaring fires because there are no stoves and hardly any fuel. No TV. No radio. No movies. No internet. Having someone tell or read a story seems a pretty good way to spend ones time as you are knitting the required amount of mittens or socks if you want your piece of dried cod or bowl of skyr the next day. The truth is there isn’t much written material that describes Viking times. That’s why people have to go to Newfoundland and Labrador and dig and sift for fragments that might prove that the Vikings travelled there. That’s why a pin at Lans Aux Meadows is so important. That’s why charcoal remnants and bog iron are so important. We may not grasp at straws when trying to resurrect our Viking ancestors but we certainly grasp at pins and bits of wool and fire pits and post holes. Just think, if Icelanders had not preserved The Prose Edda and The Poetic Edda, the Sagas, and other bits and pieces from Viking times what would disappear? Our knowledge of the Viking gods? Our knowledge of Viking values? What would we know, outside of archeological digs, of Viking life? Strange are the ways of history and fate. Iceland’s history is a history of suffering. Death was everywhere. Icelanders fell before epidemics, before starvation brought about by climate change, before laws that kept them from getting the items necessary for their survival. Yet, each of things, in some way, contributed to the conditions that meant the knowledge of the Viking age that had been lost everywhere else was preserved. What a terrible cost but what a wonderful treasure was preserved. This entry was posted in Uncategorized and tagged archeology, badstofa, Havamal, Iceland, Poetic Edda, Prose Edda, Saga, Snorri Sturluson, Trish Baer, vikings by william. Bookmark the permalink. didn’t help me find my answer!!!!!!!!!!!!!!!!!!!!!!!!!!!!!!!!!!!!!!!!!!!!!!!!!!!!!!!! !